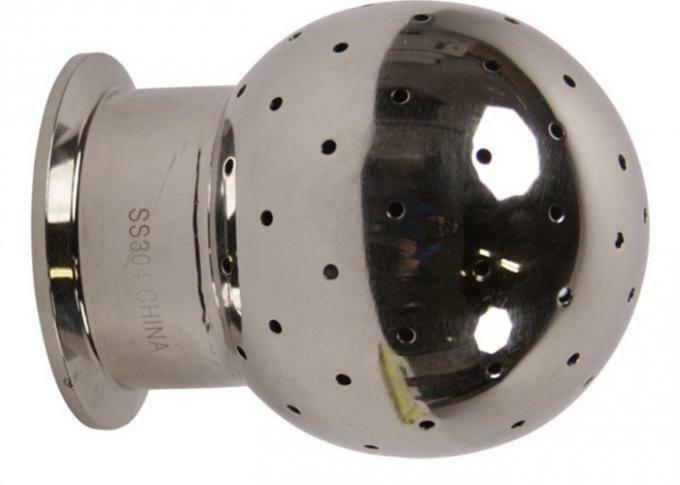 Sanitary Solutions is your source for a TP316L 360° Stainless Steel CIP Rotating Spray Ball found primarily in the cleaning of tanks and vessels.Our Rotating Spray Balls come standard with a mirror OD finish, 3/4" NPT and 1.5" NPT connection as well as a 1.5" clamp connection. Cleaning ball: It's a kind of rotary sprayer, which use cleanser to spray strongly and clean inside of the tank. It is one which is effective replace the traditional fixed cleaning ball for it can be used under low pressure with less detergent. The rotary sprayer use dual ball bearing, so it is suitable for the sanitary and industrial application, include tank, reactor, vessel etc. 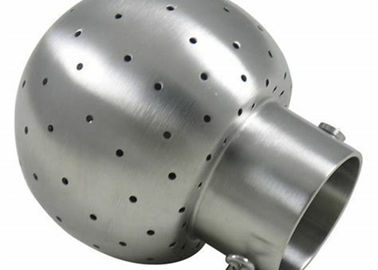 Fixed cleaning ball: It's a type of fixed spray ball of cleaning storage tank. The fixed spray ball is use to cleaning task with lower requirement.